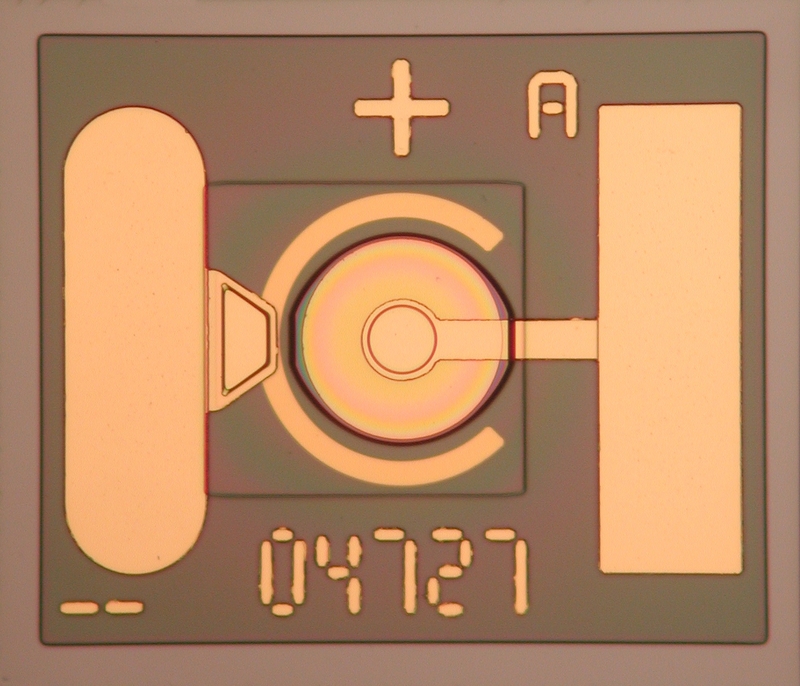 Bottom illuminated, high speed avalanche photodiode chip with a dual pad layout and large optical aperture. The APD is optimized for single-mode Gigabit Passive Optical Networks (GPON) and 2.7 Gb/s SONET/SDH telecom applications. A key feature of this innovative APD is low excess noise, enabling receiver sensitivities of -35 dBm for 2.5 Gb/s NRZ signals when used with an appropriate TIA.